Mail4Rosey: Trudeau Does Water Bottles Right (especially good when you're lost in a corn maze)! Trudeau Does Water Bottles Right (especially good when you're lost in a corn maze)! The Rejuvenate Glass Hydration Bottle is the perfect bottle to infuse water and favorite drinks with citruses, cucumbers, berries and more. The glass holds 17 oz. and is made of thick and resistant borosilicate glass that leaves no aftertaste. The flip-top lid is leak resistant and able to lock. It has a silicone pulp filter that you can use or remove at will. That too, makes for easy clean-up. There is also a handy silicone carrying strap. The built-in fruit inffuser basket is easy to take in and out, and has nice large vents for full infusion. This bottle is BPA Free and retails for $19.99. See the bottle attached to his belt? It's lightweight so he could carry water all day and easily stay hydrated. The DNA Hydration Single Wall bottle is well-designed, lightweight and easy to hold. It holds a whopping 26 oz. which makes it perfect for days out and on the go. 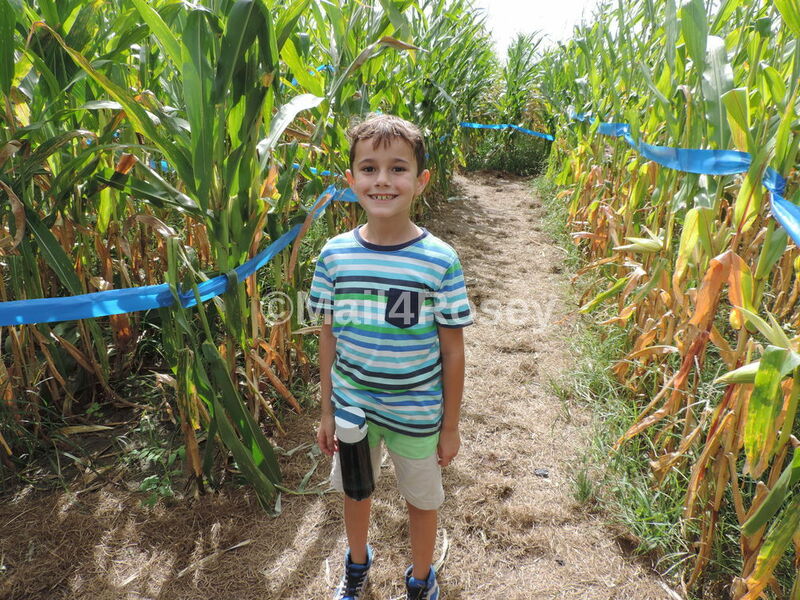 My son attached his to his belt with the handy carrying strap that is included, and took it with him through the corn maze this year. water becomes a necessity. In fact, it could turn out be be necessary for survival. The top of the DNA Hydration Single Wall bottle has a large opening for easy drinking. It also provides a quick way to add crushed ice, and makes it easy to ensure you're getting the opening clean. This bottle is ergonomically designed to make it easy to carry. It holds an amazing 26 oz. of water. I know I mentioned that already, but to me that's a big deal. It comes in a variety of colors and sells for $12.99. Do you take your water on the go? You can learn more about these and the other kinds of On-the-Go Hydration bottles from Trudeau by visiting their website. You can also follow them on Facebook and/or Twitter. That is an awesome water bottle! I need one of these. My current water bottle is so blah, AND it's been just about beaten to death. I always carry a water bottle with me! Haha, yes! We always pack water when we do a corn maze because we are usually lost in there for hours. That is a neat way to infuse. haha at least you found your way out too. Sounds like an awesome water bottle! My daughter always has a water bottle with her! Our family takes a water bottle whenever we are out and about. I would love one of these because I don't like plain water and a inffuser would be great for adding fruit. These are awesome! No one in my family of four leaves the house without one and we have some bad ones! Leaky and just not good. I love the fruit infuser! Adding berries or cucumber to my water helps me drink more of it, for sure. I'd definitely have to try a few fruit combos with this. It sounds perfect for water alone too! I have a lovely water bottle that comes everywhere with me. I would love to have a walk round that corn maze! I like that the spouts on that water bottle are wide and softly rounded. My current one is thin and has a harsh edge. I like yours better. Ha ha! That's awesome! 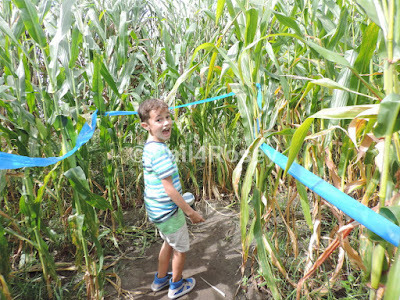 I would be lost in that corn maze and would need a lot of water! We love bottles that have a special area so you can put fruit or vegetables. The water tastes so much better than just plain tap water. This is truly a step above the water bottle I use. I need to get one of these. Perfect timing! I was just looking for bottles for an upcoming hiking trip! I have a friend that uses one similar to those and she loves it. The last time I was in a corn maze, the boy scouts had to come and help me. My gr-kids skipped merrily ahead of me, "come on, Gma!" So embarrassing. These look amazing. My stepdaughter would love the fruit infusing one!! I really want one of those water infusion bottles. The last on I bought leaked everywhere and I had to return it. These are really nice water bottles and would be great for Fall hiking or nature walks. Not to mention summer outings at the beach as well. That looks like a great water bottles. How nice! My kids always take water with them when they leave the house. I love that there is one that you can add fruits for flavor. These are great! And much healthier than the regular plastic water bottles, for sure! Whew! Glad you made it out of that maze alive ;) I'd love to try a fruit infused water bottle! Having a great water infuser bottle is perfect for having delicious water on hand at all times. 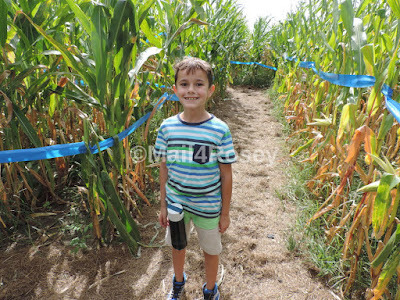 Hahaha I remember last year my son was lost in the corn maze because he decided to walk off. This would have surely helped out then too. Glad they could come in use while traveling through the corn maze. I'm always losing my water bottles, I need to try this one! I am looking for a new water bottle to use instead of buying bottled water. I am looking forward to trying the fruit infuser bottle. It is a great idea to use reusable water bottles. I hate all the empty bottles we end up recycling. I will have to check these out. I definitely take water when I am out and about-I dehydrate so easily it is frightening. Being dehydrated is no picnic-been there-done that. 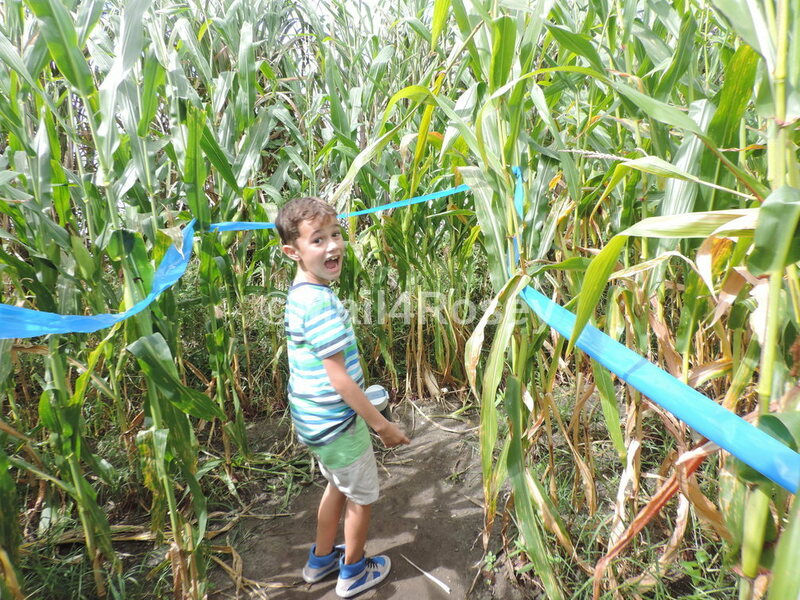 As for a corn maze--nope never attempted one but would probably wander around for hours before finding my way out. Looks like a great water bottle I would use this at my desk at work. For starters, that corn maze sounds fun. I went in one once and my dog helped me get out LOL - this water bottle looks like a good stocking stuffer. These are nice. I like the one with the infuser. My mother in law got me started drinking fruit infused water and I have become a big fan. I would love to have a water bottle that allowed me to enjoy it on the go. I have a water bottle addiction. These look like really nice ones to have. I prefer the DNA Hydration Single Wall bottle from those two bottles. I like being able to pop some crushed ice in my bottle and that the opening is wide enough which makes cleaning a breeze! I drink so much more water when I can add a little something to it. This sounds like just the right thing! I've been trying to drink more and more water, especially at work. It's so important to stay hydrated during the day. I love infused water specifically with lemon and strawberries. It is so important to stay hydrated at all times. These water bottles are really nice. Not only do they come in great colors, but they are great for the environment too. Both me & my husband drinks a lot of water & we usually carry a huge water bottle where ever we go. This looks like a great water bottle & I love that fruit infuser where you could add some flavors to make it more tasty to drink. I love adding fruit to my water to change it up a bit. This sounds like something that I need to buy for myself. I love the innovation of this water bottle! Even better that you can infuse fruit I have been doing that more as of lately! I have heard about fruit infused water! I need to try it! I need to drink SO much water while nursing having some flavor would be nice! I need a few good water bottles for my workout. I'll have to check this out. These are neat water bottles, I especially loved the infused water bottle. Infused water keeps me away from sugar sodas and other drinks. Thanks for sharing. 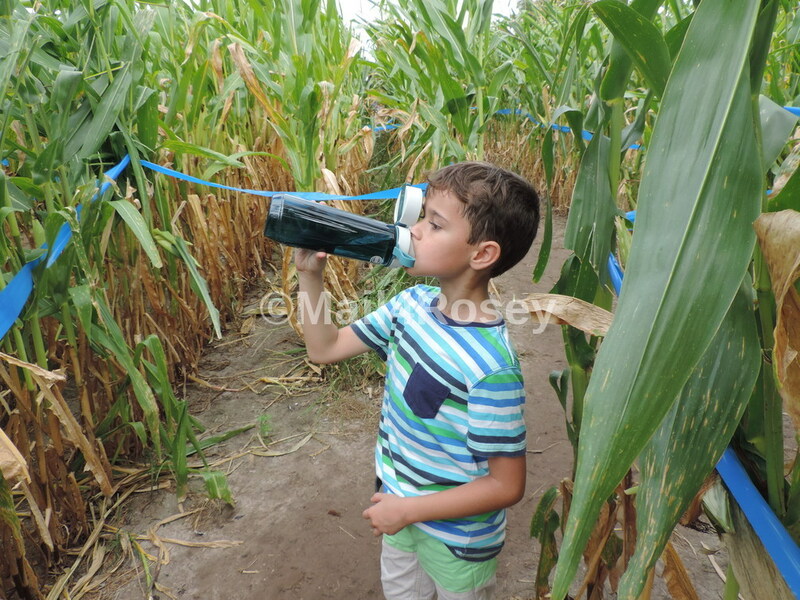 Note to self: Bring a water bottle to a corn maze! LOL I definitely don't want to get lost in there without water! We take water with us everywhere and I'm liking glass better than plastic unless I know it's BPA free. Thanks for the review of this one!